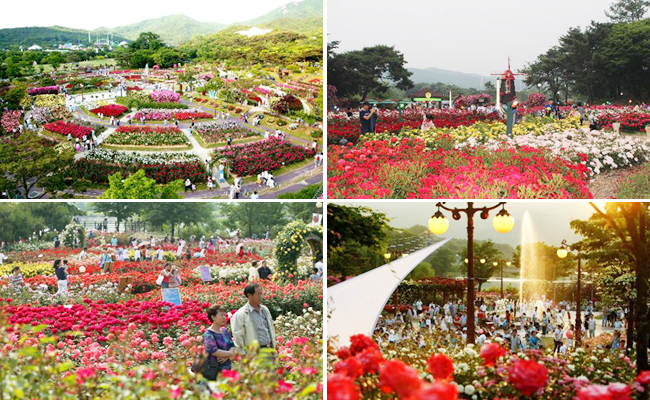 'Rose Festival', also known as the 'Festival of gardens' is the biggest Rose Show in the country where magnificent varieties of roses are on display is scheduled to be held from February 19 to 21 this year. At this time three musical nights will be organized by the Union Territory tourism department singers Sukhwinder Singh, Jazzy B and other artists will also perform at the festival. Last edited by MiniGupta : 02-19-2016 at 04:55 PM. Wow...Rose Festival. I, am also planning to go rose garden with friends. Here’s a list of some attractions that mark Rose Festival 2016 at Rose Garden in Sector 16, Chandigarh. Mr and Ms. Rose Chandigarh 2016. Jazzy B Star Night on 20th Feb.
Sukhwinder Star Night on 21st Feb.
With spring settling down and roses in their full blossom; the city of Chandigarh is awaiting for the pleasant fragrance of roses especially in the month of February of every year. In Rose garden everywhere different colors of roses are seen and that view look so beautiful.